We tend to attribute the placebo effect — and its recent rise in randomized placebo-controlled trials (1) — to changes in individual patient behavior, e.g. higher expectations toward the medical system and/or toward doctor behaviors when it comes to prescribing medicines and/or communicating with patients about their benefits (placebo) and pitfalls (nocebo). We here will argue that this trend toward higher placebo effects today is — at least to a substantial degree — driven by the pharmaceutical industry itself, especially by Big Pharma, companies that drive the development of new drugs for old diseases and, at the same time, outlook for options to increase income by reducing costs to hit the margin of 1 billion $/€ per years in sales, called a “blockbuster.” Not to be misunderstood: Drug companies are commercial entities, not charities; making a profit is one of their purposes. As we have seen, the idea of providing medication, or even snake oil, to improve patients’ symptoms has been around for a very long time — in fact, at certain times in early human history, nearly all medications (with the exception of probably a few herbal remedies) were of a placebo type. It is, therefore, not surprising that for an equally long time, novel therapies were tested by providing individual patients or a series of patients with similar conditions with a proposed novel compound, and their individual (or group-wise) symptom course were compared to those that did not receive the treatment, be it pharmaceutical or homeopathic, drugs or herbs. These controls were what is today known as “no-treatment controls” or “treatment as usual.” But even as early as the 15th or 16th century, doctors always knew the calming effect of providing any help, even quackery, to those that demanded it. And without any doubt, those producing pills (or snake oil) must have known this as well but still could claim they did not know better. Things changed somewhat when smart, individual doctors decided that while providing ineffective remedies may help, it is necessary to control for such effects when proposing new treatments, or, as was the case with the Saline Experiments in Nuremberg in 1834 (2), suspicion arose from skeptics of certain treatments (here, homeopathy). But it took more than 100 years to set the standards of placebo controls in drug testing, and for the first 50 years of their existence, companies such as Hoechst (founded in 1863, but began drug production later with Antipyrin (1883) and Pyramidon (1897)), Bayer (since 1863, Aspirin patented 1921), Pfizer (since 1849, produced Santonin since 1849), Sandoz (since 1886, Antipyrin since 1895), CIBA (since 1886, Vioform, an antiseptic, and Salen, an anti-rheumatic, since 1900), and others were not forced to test their drugs under placebo-controlled conditions, permitting an overestimation of their clinical value. However, we can be sure that drug companies were well aware of such bias in their efficacy data and also must have been aware of the upcoming change in drug approval policy. This, however, was science-driven and against the commercial interests of the industry, and therefore was ignored as long as possible. As we have illustrated before, the idea that a substantial portion of claimed clinical efficacy may be due to nonspecific effects — called placebo effects — came to surface around the middle of the last century, when Henry K Beecher and Stewart Wolf published their ground-breaking observations and insights, stating that placebo-controlled trials are the only way to assess the true value of a novel clinical, specifically pharmacological, treatment. It was not just the introduction of placebo arms in drug trials that were initiated and fostered by science; the same holds true for nearly all other measures that subsequently became trial standards and were installed by approval authorities: true randomization using random number tables, adequate power calculation, appropriate statistical evaluation including intent-to-treat analysis, proper documentation of recruitment, randomization, and drop-outs, multi-center trial methodology, center-recruitment and doctor training, separation of patient treatment and evaluation, introduction of blinding assessment, adequate endpoint selection (patient-reported outcomes vs. biomarkers), the invention of “active placebos,” novel trials designs, and many more. In fact, the drug industry initially objected to many of these measures, which were only reluctantly introduced, or even dropped from their armamentarium, e.g. the use of active placebos that require a larger drug-placebo difference to achieve significant results (and hence: larger patient samples), and therefore counteracted the economic demands of the industry. Instead, they have sought to identify and eliminate placebo responders even before or in the early stages of a trial via placebo run-in phases, enrichment designs, and even cross-over designs to minimize the number of patients needed for approval. Nothing has worked well, as we now know (3). In consequence of this, we have seen many drugs that look promising when tested in trials but disappoint when on the market, e.g. antidepressants of serotonin-reuptake-inhibition type (SSRI) (4). One of the pitfalls on novel drug testing has been that atypical patients are recruited for trials, usually with lower symptom severity, while “real-life” patients often suffer from more and more severe symptoms before receiving drug treatment. Lower symptom severity has been shown, however, to be one of the very few but stable predictors of higher placebo responses in RCT (5). Another drug-industry-driven bias in RCT data fostered by the industry is professional (commercial) drug testing outside academic settings, carrying the risk of guinea-pigging with semi-professional patients. At the same time, payment for doctors recruiting patients for RCT was shown to undermine fair assessment of patients’ symptoms and leads to an overestimation of their severity at study start and an overestimation of the drug efficacy in the course of the study (6). The end of the current practice of placebo-controlled trials was initiated with ethical discussions around the question whether it is acceptable at all that patient in need for treatment are asked to participate in a RCT where they have a chance to receive placebo — irrespective of the fact that the placebo effect may show that symptom improvement with placebos is possible. This ethical discussion resulted in a revision of the Declaration of Helsinki (7) that allowed placebo-controlled trials only under restrictive conditions: when symptoms are of minor severity, no effective treatment is yet available, and patients’ symptoms do not worsen during the course of the study. Some countries, such as Japan and Brazil, have subsequently banned placebo-controlled trials from their territory. Instead, they favor comparative efficacy research (CER), comparing a novel compound with one already on the market, and “real-life” (observational) open-label studies (OLS) that mimic the situation in everyday medical practice, where drugs are provided and the symptoms are observed by both the doctor and patient. 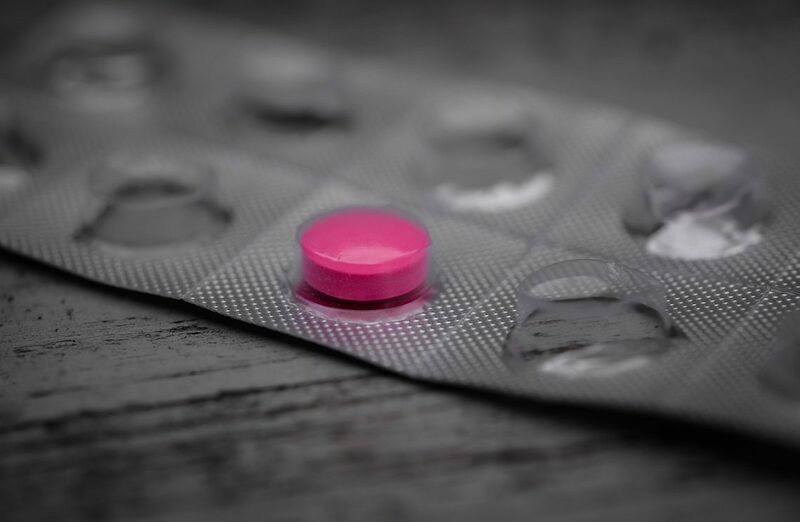 Evidently, eliminating placebos does not eliminate the placebo effect, it just makes it more difficult to control for it, but this will be another story for another occasion. For the drug industry, these novel strategies pose another risk: CER research requires a much higher (e.g. four-fold) number of patients to be included in a trial, as the novel compound has to be tested for non-inferiority in comparison with the already-approved drug, and more patients means higher costs. Higher costs are also involved in providing the comparator drug, especially if it is not the property of the company. As was shown recently, most CER trials were not adequately designed to preserve active comparator treatment effects (8). OLS, on the other hand, cannot prove efficacy (as there is no comparator or placebo), and therefore has to at least compare the contribution of spontaneous symptom variation to the course of the disease under treatment, and this can only be accomplished when a cohort of patients, e.g. from a disease registry, is included that does not receive the treatment but serves as an observational control (9). This, however, shifts the control of the study from the drug industry to the cohort/registry management and back into the hands of academia. Alternative attempts to instead install historical placebo controls from industry-owned trial archives have not shown persistent success yet (10). Drug development in the early days (around 1900) may have been a mere economic undertaking — reflected in the fact that most Big Pharma companies of today started out as chemical industries where single chemical compounds in their portfolio were marketed as the first true medicines. Certainly, the medical part of this economy has shown to be more profitable than the chemical, at least in the long run and from a sustainability point of view. However, the drug industry may be — more than any other branch in the economy — dependent on the intellectual input of the academic sector on the one hand and on public spending for increasing costs of drug treatment on the other. Therefore, science and economy would need to adjust for this delicate relationship, in the interest of both sections, and find common ground — placebo research could be one. This is part 15 of a series covering “placebo” provided by Paul Enck and Sibylle Klosterhalfen from the Tübingen University Hospital. Continuous updates on placebo research can be found at www.jips.online. Enck P, Horing B, Broelz E, Weimer K. Knowledge Gaps in Placebo Research: With Special Reference to Neurobiology. Int Rev Neurobiol. 2018;139:85-106. Stolberg M. Inventing the randomized double-blind trial: the Nuremberg salt test of 1835. J R Soc Med. 2006 Dec;99(12):642-3. Kirsch I. The emperor’s new drugs: medication and placebo in the treatment of depression. Handb Exp Pharmacol. 2014;225:291-303. Weimer K, Enck P. Traditional and innovative experimental and clinical trial designs and their advantages and pitfalls. Handb Exp Pharmacol. 2014;225:237-72. Weimer K, Colloca L, Enck P. Placebo effects in psychiatry: mediators and moderators. Lancet Psychiatry. 2015 Mar;2(3):246-57. Kobak KA, Kane JM, Thase ME, Nierenberg AA. Why do clinical trials fail? The problem of measurement error in clinical trials: time to test new paradigms? J Clin Psychopharmacol. 2007 Feb;27(1):1-5. Skierka AS, Michels KB. Ethical principles and placebo-controlled trials – interpretation and implementation of the Declaration of Helsinki’s placebo paragraph in medical research. BMC Med Ethics. 2018 Mar 15;19(1):24. Tsui M, Rehal S, Jairath V, Kahan BC. Most non-inferiority trials were not designed to preserve active comparator treatment effects. J Clin Epidemiol. 2019 Mar 8. pii: S0895-4356(18)30599-7 (Epub ahead of print). Relton C, Torgerson D, O’Cathain A, Nicholl J. Rethinking pragmatic randomised controlled trials: introducing the “cohort multiple randomised controlled trial” design. BMJ. 2010 Mar 19;340:c1066. Desai JR, Bowen EA, Danielson MM, Allam RR, Cantor MN. Creation and implementation of a historical controls database from randomized clinical trials. J Am Med Inform Assoc. 2013 Jun;20(e1):e162-8.